This is with a great deal of excitement that construction has begun on the fourth floor — only 55 levels to go! 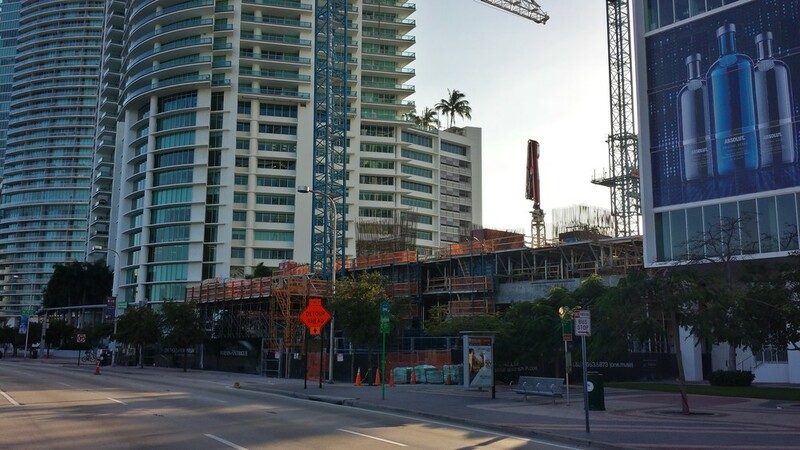 The 58 story building will span almost 30 acres in the heart of downtown Miami and will be comprised of 513 condos, a magnificent skydeck and lounge with a sunrise pool, a fire pit, an Infinity edge pool, an observatory and a Tai Chi Deck. 6 concrete pumps running simultaneously for 30 hours straight! 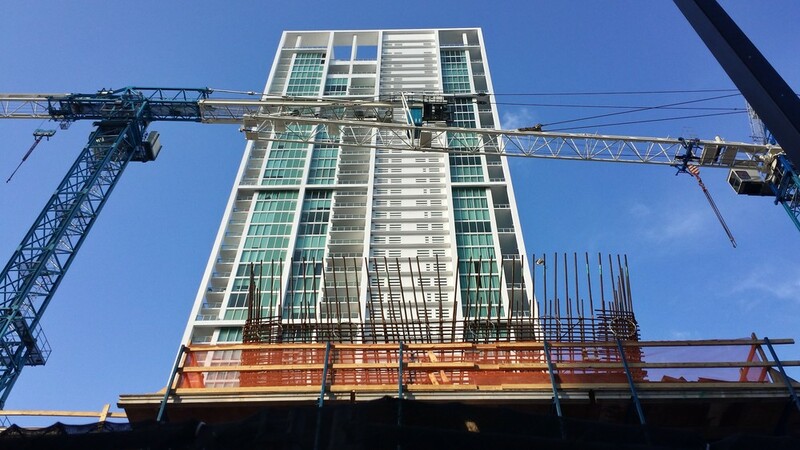 The project began drilling pilings at the end of last year. As of today, all piles have been installed. 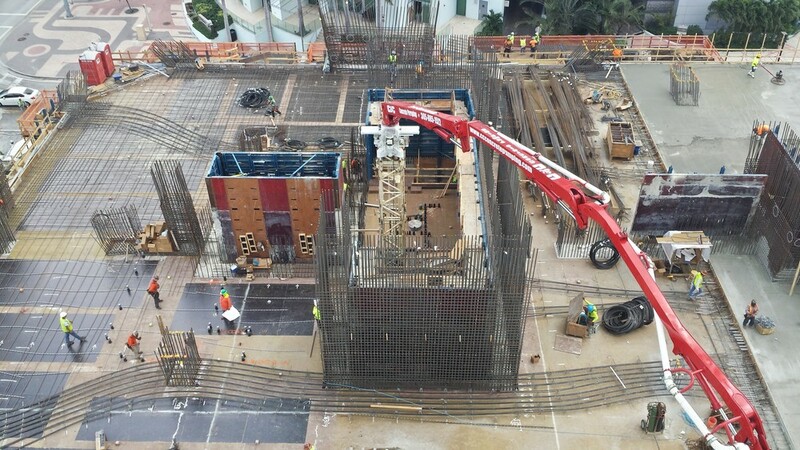 Next, the site is geared to have the mat foundation, over 12,000 cubic yards of concrete, poured in October before the project goes vertical by year end. 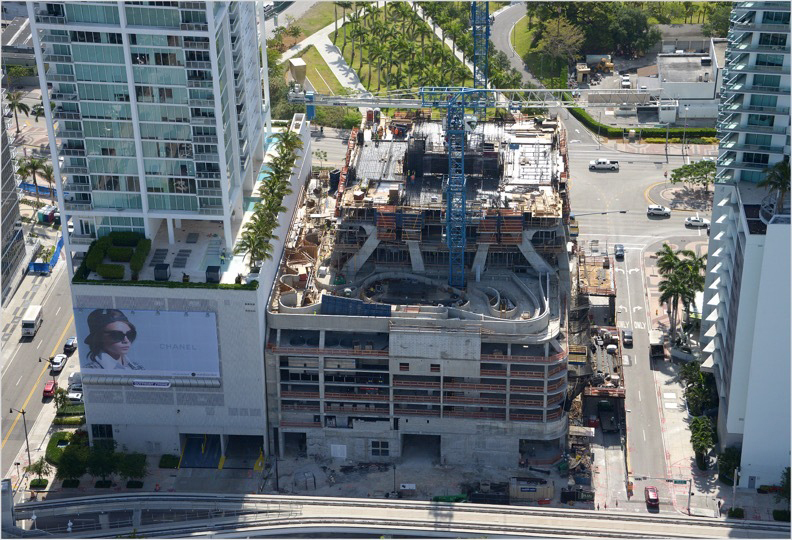 Paramount is part of the $1.7 billion Miami Worldcenter mixed-use development which is aiming toward an end-year 2018 completion date.